I don't know about you, but I couldn't wait for this book to be published. 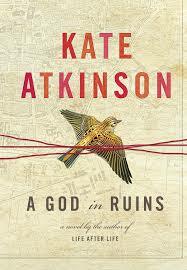 Kate Atkinson is fast becoming one of my favourite contemporary writers. Her stories dip into different genres, but at the heart of them all, lie wonderfully drawn characters who we come to really care about. Having read Atkinson's previous novel, 'Life After Life', the forerunner of this book, it was with some trepidation that I began 'A God in Ruins'. The main reason for this was that things didn't always work out well for Teddy, whom I adored, in the last book and I was fearful of more of the same this time round. I didn't think that I could bear that. However, despite the worrisome title, 'A God in Ruins', is far less bleak for Teddy. He gets through the war and fulfils his dream of marrying Nancy, the girl next door. His life 'afterwards' is quite normal. 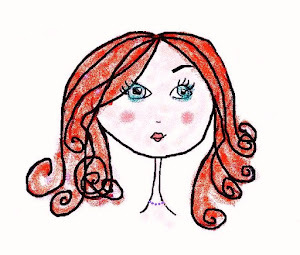 Viola, his daughter and only child, is a disappointment; she seems to have been born angry. It is unclear why such a loved and wanted child could be so unhappy, but perhaps this is one of the questions that Atkinson addresses in the novel. Were the whole 'love and peace' generation, who came of age in the swinging sixties, all reacting to the violence and hatred of the years before their births? Did they imbibe all of that angst? Did they bear the psychological marks of trauma because of what their parents had done during WWII? Was this some kind of trans-generational bad karma? Either way, it seems to take a generations for all the anger to work its way out of the blood line, and it isn't until Teddy's grandchildren come along, that he begins to feel the familial love that he always hoped for and indeed expected. Bertie and Sunny, are both sensible enough to appreciate Teddy for what he is, a kind, decent human being, who cares about nature and loves his fellow man. Viola, the choleric daughter, can see nothing but her own pain, and is happy to destroy the lives of everyone around her if it means she has even a moment of happiness, which she never does. I cannot speak much about the ending of this novel - as with most of Atkinson's novels, her endings are full of unexpected twists and surprises, but I will say that with this novel, Atkinson has surpassed herself. I found myself in a daze, one minute laughing, the next crying, as I stumbled over the last half a dozen pages or so. What a roller coaster ride this novel has been. 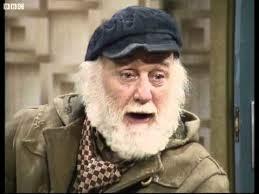 While reading the book, I was reminded, very often of the television show, 'Only Fools and Horses', in particular a character called Uncle Albert, who would often chime out the phrase, 'I fought a war for you , you know!' to which canned laughter was the regular response, along with rolling eyes and mocking jibes from Del Boy and Rodney. What this book does, is zoom in on the uncle Alberts of England, and consider that generation, who are now passing out of existence. I never liked how those TV comedians treated Uncle Albert, nor the similar late 1970s punk ethos that sang/spoke a similar mantra. I always have believed that the soldiers of WWII (and WWI for that matter) suffered enough on the battlefield. The generation who lived through the Second World War really did strike out against fascism and saved the future for millions of us. What Atkinson cleverly does here is tell the story of the countless millions of people who were never born, because their WOULD-BE fathers and mothers died in the war. So, if Teddy had died, as he had died in one of Ursula's lives in 'Life After Life', then Sunny, Bertie and even the file Viola would never have been born. Their whole stories would never have been. But Atkinson, DOES write Teddy's story. She breaths life into him, from childhood to old age and what a wonderfully warm, vital man he is. I adored this character, his tenderness, his love of larks and bluebells, his bravery and sense of doing right. Some of the time you feel, is this what he fought the war for? Is this all he gets in life, a thankless, bitter child; a cold, sometimes distant, wife? But life is unfair: ordinary life is messy and cruel, and old age is the cruellest of all. And anyway, surely it is better to have survived the war, even if the 'afterwards', that Teddy and Nancy so often spoke of, turned out to be less than ideal? Surely it is better to suffer 'the slings and arrows' of this mortal life, than have it ripped away from you in the burning cockpit of a Halifax over the English Channel? The description of the treatment or mistreatment, of the old is very moving. The slow, relentless undermining of power and the rise of the next generation is heartbreaking to read, and we feel it more keenly because we are reminded of Teddy's brave, fearless youth through the use of repeated flashbacks to Teddy's war. This narrative technique keeps the youthful version of Teddy always in our mind's eye and it is even more poignant to see the old and the young Teddy side by side, chapter by chapter, in this way. Atkinson's narrative technique is also worth mentioning. She is a weaver - and the tapestry that she creates is rich and bold, vibrant and intricate. The picture created is at once familiar, a patchwork of familial relationships, tugging and pulling all the time, yet each one vital to the overall story. Teddy, Nancy, Ursula, Bertie, Viola and Sunny, all coexist together, each has a story that needs to be told. There would be no Teddy were it not for Ursula, no Viola if there were no Teddy and so on. This patchwork the Atkinson creates resembles the very fabric of England; its people and their sacrifice during the war. In this way, the impact of the war stretches through the generations, over time, touching us even now, and must never be forgotten. I couldn't wait for this book to be published and now that I've spent the last week living within its pages, I feel like going back and reading it all over again. I strongly advise you to do the same.